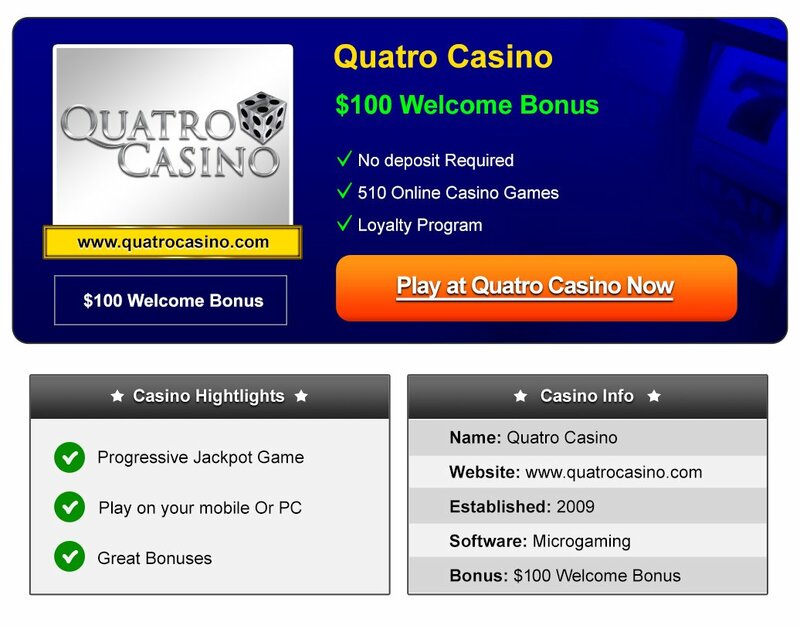 Quatro Casino joined the Casino Rewards group in 2009, and we were happy to be able to get the opportunity to test this particular casino, as we had heard good things about it from some people we know that play there. The casino provides something of a different look and feel to all of Casino Rewards’ other casino brands. It also offers a very unique welcome bonus offer too, which we will go into more detail about later in this review. 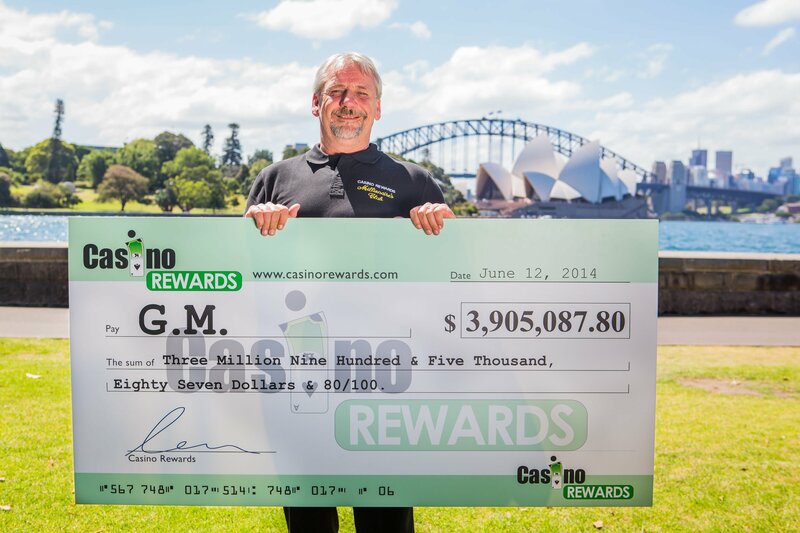 During our research, we discovered that a Casino Rewards player with the initials of G.M. won a huge jackpot of $3,905,087 while playing the Mega Moolah progressive slot game at Casino Rewards. Apparently he was playing with bonus money given to him by the casino as well! We found it very quick and easy to register an account at Quarto Casino. Just three simple steps required to create your account and start playing. At the moment Quatro Casino is only available on desktop, although we have heard that a mobile version is on its way also. The registration process consists of downloading the casino software to your desktop. Once you install the software you will be required to register your account, and provide details such as name, email and date of birth. As soon as you have done this you will be able to access the casino and you will also receive your welcome bonus that you can star using right away. The whole registration process will take just a minute or two, and is extremely easy. The new welcome bonus at Quatro Casino is pretty unique, we have not seen one like this before. As soon as you have made your first deposit, you will be given a match bonus of up to $100 plus up to 700 free spins in the first 7 days after your first deposit. 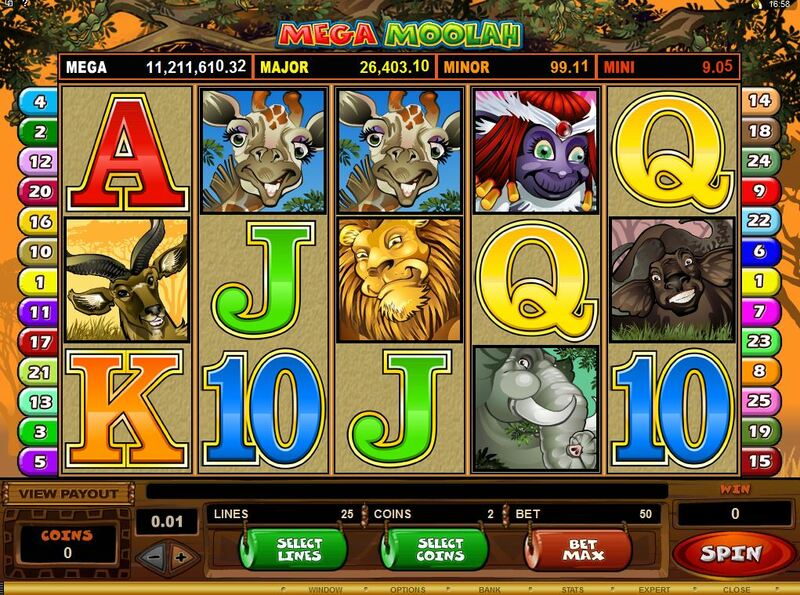 You can try a various of Microgaming's popular slot games at the casino with these free spins. We were impressed by the amount of casino games available in Quatro Casino (over 500), and the quality of them too. From brand new releases such as Frozen Diamonds and Monkey Keno, to some of the old favourites such as Avalon, Avalon II and Thunderstruck, there were plenty of options here for both slots and table players. We were happy to see that players can speak to their customer support at any time they like via live chat if you need to, or you can also call or email them too. They have separate toll free numbers for Canada, UK, Denmark and Germany. However, if you’re located elsewhere, you can still call them on their international number. Note that international call rates do apply for this one though! What we really liked about Quatro Casino is their transparency. On their website, you’ll be able to view daily jackpots via a live feed. They also have the percentages of the casino games, so if you want to give yourself the best chances you can play the games with the highest payout percentages. Overall we really enjoyed playing at Quatro Casino. We found the whole experience of signing up and playing very simple and easy to do, and then the volume and quality of the games we had available to us to play were really great too. Another big hit from the Casino Rewards group, Nostalgia Casino brings its own charm to the table with a wide selection of top-notch games and sleek game play experience. 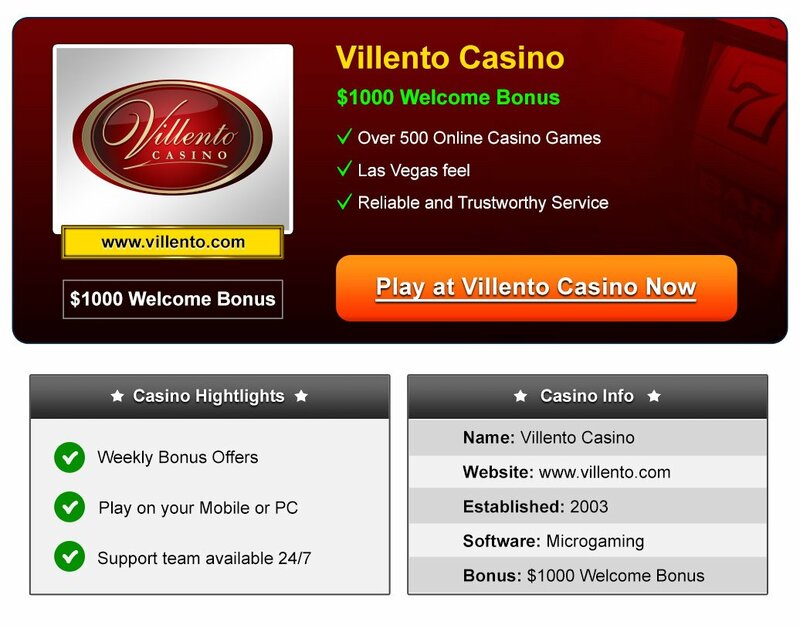 Established back in 2003, the casino runs on the robust Microgaming software. What sets Nostalgia apart is its elegant retro design that reminds of the groovy 60s and 70s. You can also count on a knowledgeable and experienced 24/7 customer support team, and various banking methods that cater for players all over the world. 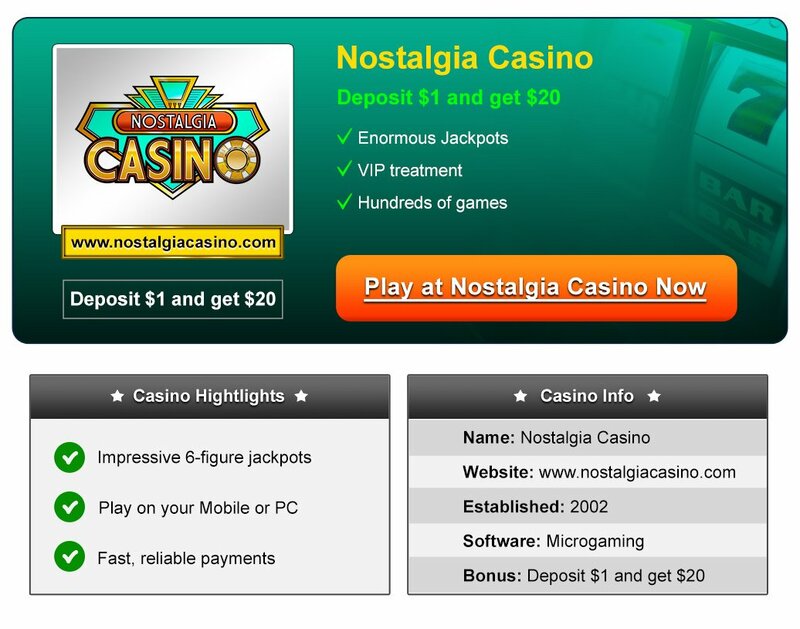 Nostalgia Casino offers its new players a $500 Welcome bonus to use over the first five deposits, no code required. Once a deposit has been made, you generally receive the bonus straight to your casino account with 15 minutes. The first deposit is particularly generous (2000%) offer: deposit $€£1 or more and get $€£20 bonus. That’s quite enticing, we haven’t seen many online casinos offer 2000% bonus right off the bat. That’s a total of $€£500 available over the first five deposits you make at Nostalgia, so definitely a great opportunity to get yourself familiar with the casino and many of the hundreds of games available there. As Nostalgia Casino is powered by Microgaming; which was voted best Casino Software in 2010, you can expect a huge selection of games. In fact there are over 500 games and counting with new titles being released each month. All the basics are there: variations of roulette, blackjack, and video poker. Not only that, but they also have the very latest video slot games and 16 progressive jackpot games to try and win from too. It’s also home the multi-million progressive jackpot game Mega Moolah. This game alone has created many instant millionaires, and it is one of the most popular online games available. As always in online gambling, safety is of the upmost importance. Fortunately, Nostalgia Casino uses a 128 SSL encryption which is the same level of encryption banks use. It is also fully licensed to operate by the United Kingdom Gambling Commission, the Malta Gaming Authority and the Kahnawake gambling jurisdiction. It is also fully certified by an independent third-party auditor eCogra to insure the fairness of the games. Just like every casino of the Casino Rewards group, every new player is automatically added to a premier Loyalty program where points can be earned through wagering and promotions. Points can be redeemed in bonus form in the account of your choosing of participating casinos. Special promotions and perks are offered as you move through the VIP ranks. If any problem arises, the support team can be reached 24/7 through email, phone or Live Chat. The staff is friendly and efficient, and can accommodate a multitude of languages. We found that Nostalgia Casino has plenty to offer, and while it may not be one of the bigger named online casinos available right now, it still provides the quality of games, support and security that the bigger brands do.